Are you looking for quality, durable kids bunk bed curtains? Our products are a heavy grade material that will last for years. 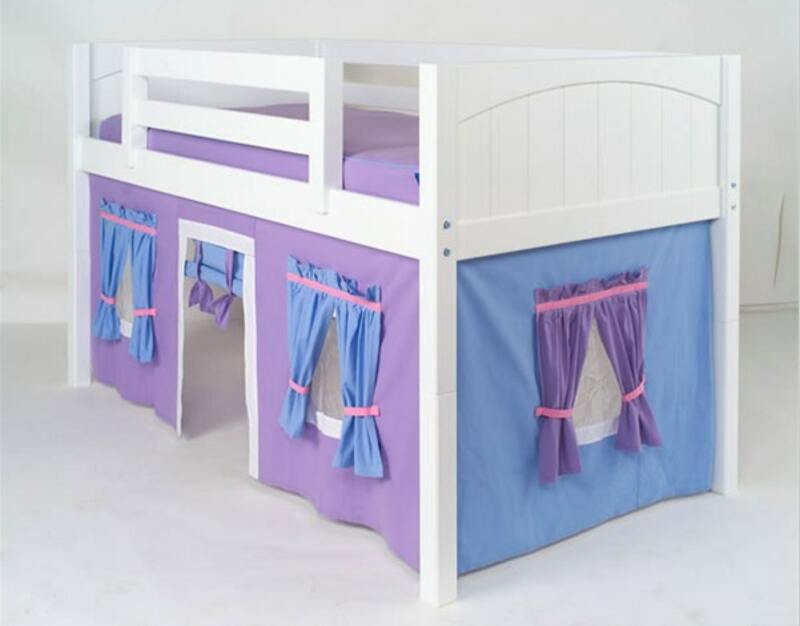 Our bunk bed loft curtains and bunk bed top tents are made for fun and durability. Our Stylish, Fun, & Smart Loft and Castle Bed Accessories are available in 12 different color combinations. There are cheaper options out there but they are not made like ours! Tower 15 1/2 w x 14"d x 90"h comes with solid wood elements to keep tower upright/in place. Please note these products are made for Maxtrix Beds. These products work with most beds but not all. Price includes free shipping with the continental US. Because these items are made to order, they are not returnable. Well made foot stool. I am really happy with this purchase. My granddaughter is thrilled. Purchased castle for loft bed. Did not ship on time and false reporting for shipment to Etsy with fake tracking number, poor quality item and seller makes up own rules about return policies. Do not trust seller, will not buy through them again.